The Maya BTW Close Coupled Toilet with Soft Close Seat is ideal for use in smaller bathrooms, conceals pipework and is easier to clean. 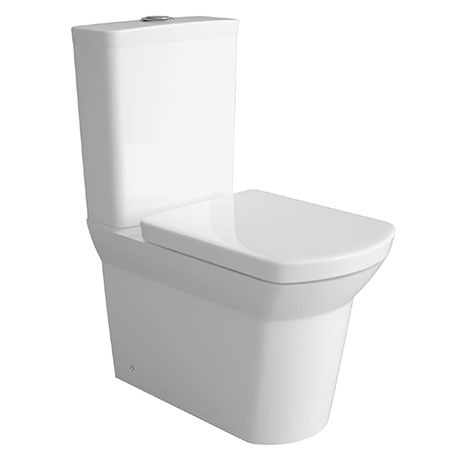 This stylish contemporary WC is manufactured from high quality vitreous china and comes complete with a top fix soft close seat. The Maya range is designed and manufactured by leading bathroom brand Hudson Reed. Hi, unfortunately we don't sell the seat for this pan on its own, if you contact customer services we may be able to get one as a spare part for you. Thanks!